Gorgeous remodel in centrally located Serra Mesa. 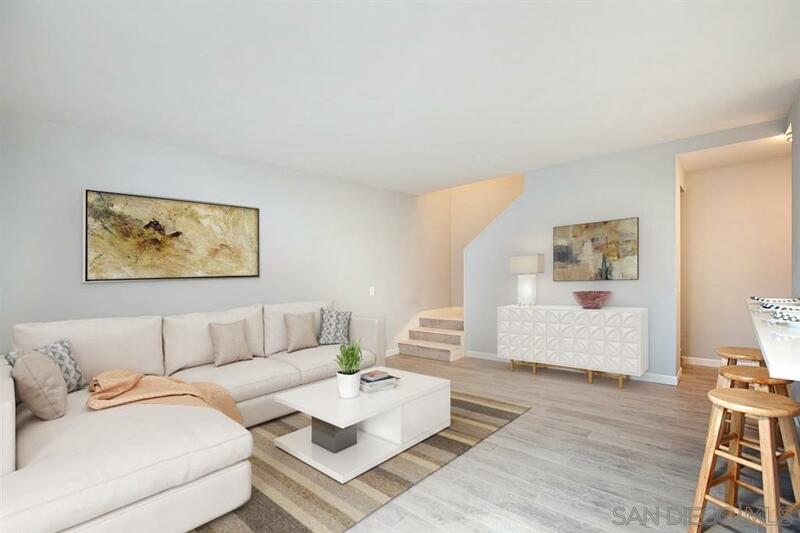 This two bedroom condo with private patio has been completely renovated. Upon entry you are welcomed into the open living room and kitchen. The kitchen was just modernized with granite countertops and bar seating area. The adjacent living area features new laminate flooring, paint and baseboards through-out. Upstairs you will find two spacious bedrooms. The master bedroom has vaulted ceilings and direct access to the remodeled bathroom with new shower.